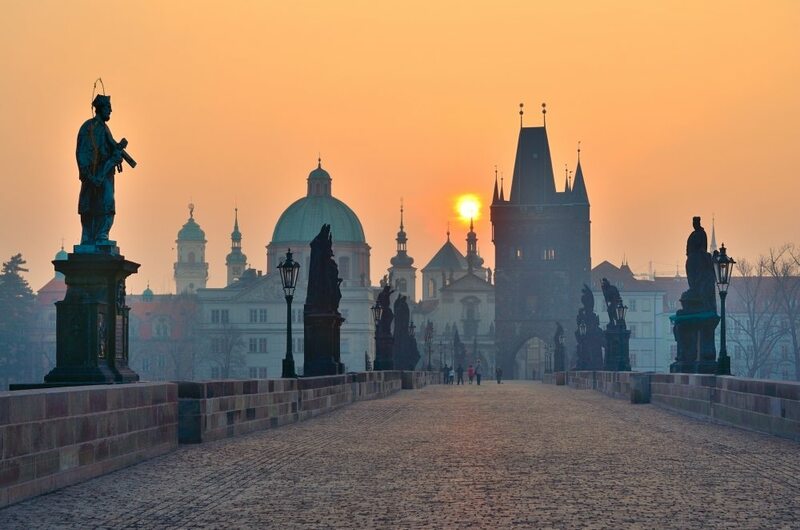 You can visit Prague for its grandiose and iconic history, architecture and theatres and still have a lot of fun without venturing outside the capital. 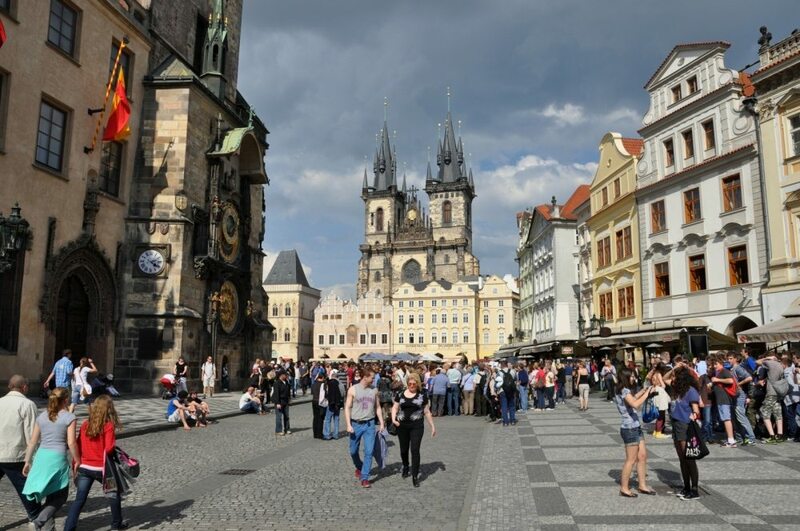 There is so much in the city itself to see that people forget that they are many more attraction sites outside the city not to be missed as well whenever you visit Prague. 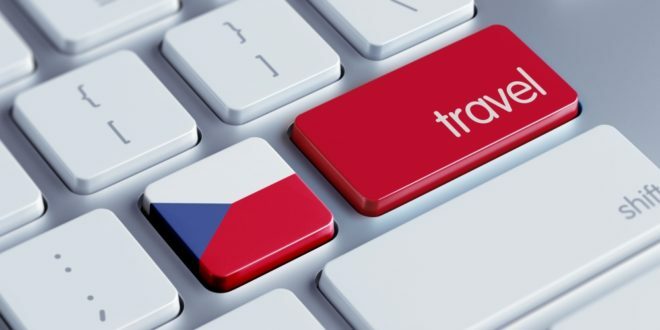 And most of these places are within a few hours of Prague and would require a day or two of trip to enjoy what they offer. Read on for some of the trips you can make to escape the buzz of the capital city and they will be worth your time. 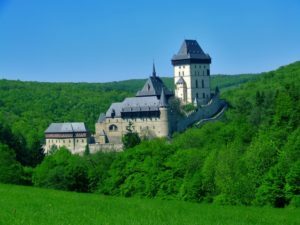 A trip Vysočina involves venturing partly into the south eastern part of the historical region of Bohemia and partly in the south west of the historical region of Marovia. 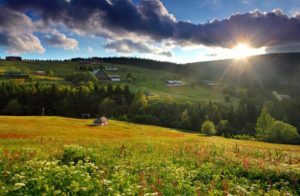 The rolling hills of Vysočina are dotted with forests and ponds, and along you will see charming towns as well as verdant fields of grass and wheat. You will get an opportunity to see the various relics of the past, castles, churches, walled towns and towers scattered the whole of the region. Some of these have been preserved or restored over time. This trip can combine visits to three destinations, that is, the cities of Telč, Třebíč and Zďár. While you are at it, you get the incredible opportunity to visit three UNESCO World heritage centers in one day. 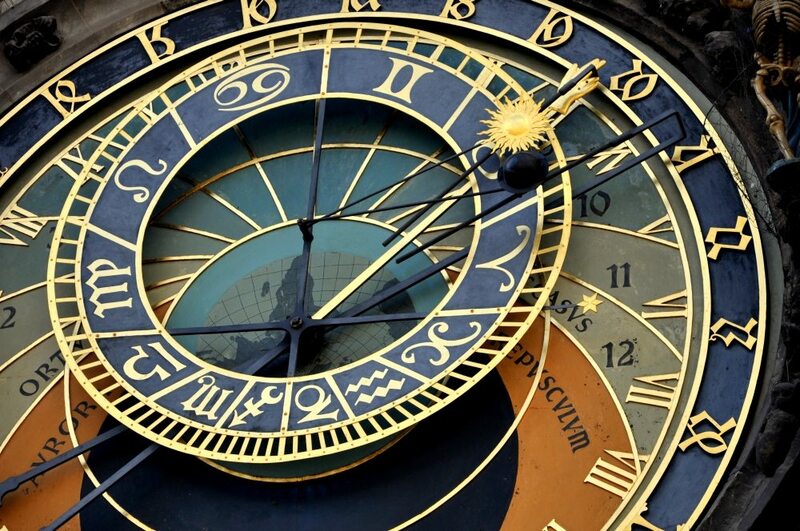 This trip can take a full day, but if you are in no hurry, there is so much to see over two days. 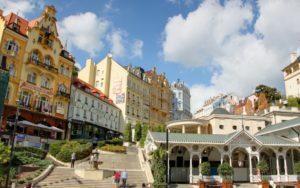 Karlovy Vary is one of the most visited cities in the Czech Republic, perhaps second after Prague. It is renowned for its 12 natural hot springs and thermal baths through the eastern and central Europe. It is the perfect incarnation of spa elegance, imposing colonnades and wonderful layout in a forested valley. You can visit this place for its amazing architecture, and serene environment as you enjoy the ambience walking around town. A whole day is adequate time to see most of the sites but if you can stay longer, then you have an opportunity to visit the Moser Museum and other nearby attraction sites. To get to Karlovy Vary, you can jump on a bus for a slightly over two hours ride. It offers the most natural beauty as no other place in the Czech Republic. 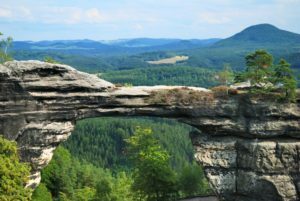 Bohemian Switzerland is only a few hours from Prague. There are a lot of beautiful sceneries for a place of its relative small size. It is a great place for hiking and it is forever worthwhile to visit this place if you are in the Czech Republic. It is home to verdant gulches, swaths of farmland, towering cliff, majestic rock formations and beautiful little villages. 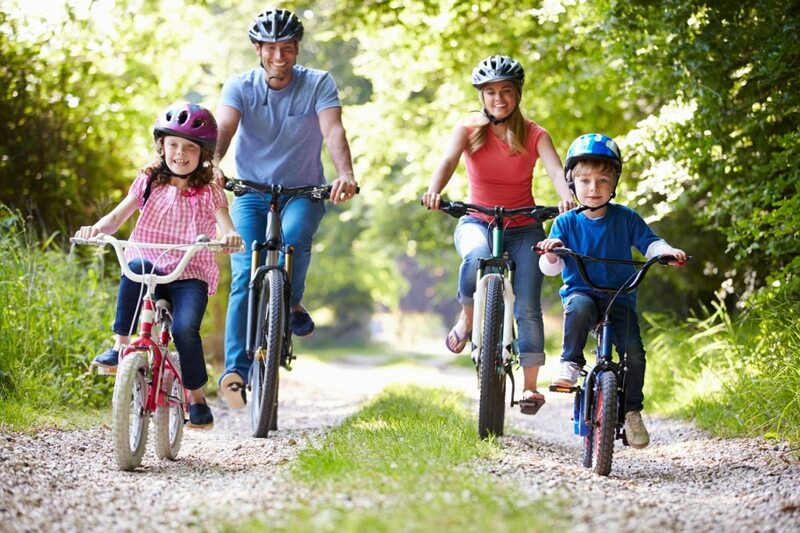 This is absolutely the place for people that love the outdoors. 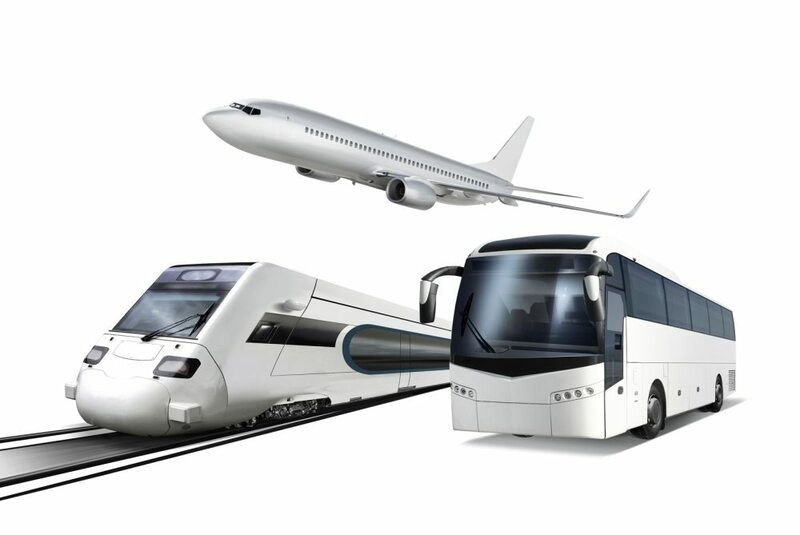 Public transport is the most effective means of getting to Bohemian Switzerland. However, if you want to take your sweet time beholding the beauty of this place, rent a car. 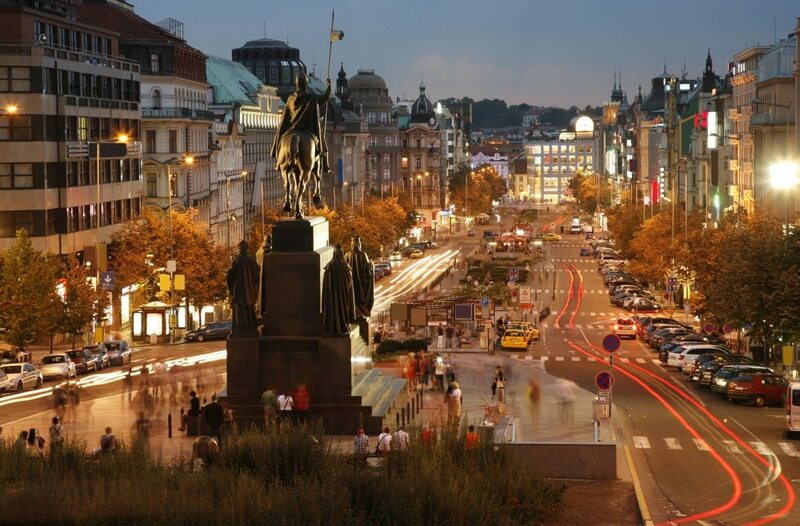 It is only a short distance from Prague city. The region is home to small mountains, fields/steppes, pastures, orchards and vineyards filled with quaint villages. The relief and geology are extremely diverse and the mountain range is intersected by the Elbe River. The forested hills are filled with most number of plant species than any other part of the country. These species have survived since the ice age while some plants are typical for the Russian steppes. The central bohemian uplands are the warmest and driest part compared to all regions of the country. If you visit during the winter you may get to view its snowcapped volcanic mountains, and rustic villages. Also, you have a chance to sample cheese at a local goat farm. Kutna Hora is only two hours from Prague on the train. It is best known for being the home to Sedlec Ossuary, the “bones chapel” as it is decorated with bones of the people that died in the Black Plague in the 1400s. You will get an opportunity to visit the UNESCO world heritage site and enjoy the beauty of strolling along St. Barbara Street. 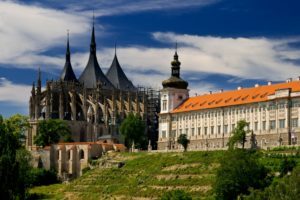 Kutna Hora is very old city and its monuments should be seen by all fans of history. Pilsner Urquell is the most popular beer brand in Prague. 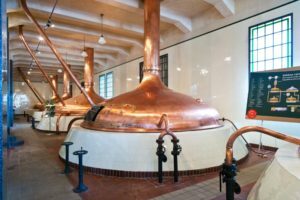 Visit where it is brewed to discover the secrets of Pilsner with a guided trip that will also take you through the brewery museum, the brewery plant and its cellars. Ordinarily you will get a free beer if you indulge. You can also stock up a few products at the factory and take a tour of the historic underground tunnel that runs beneath the city. PILSEN, CZECH REPUBLIC – SEP 11: Pilsner Urquell Brewery from 1839, Pilsen on September 11, 2014 in Pilsen town, Czech republic. Pilsen is known as the birthplace of the Pilsener beer style in general, and for Pilsner Urquell beer. This is only less than an hour from Prague city. It is a 14th century gothic style castle in very remarkable condition. You will be afforded an opportunity to walk by souvenir stands, restaurants and antique shops before entering the castle itself. Unfortunately you access the castle rooms on paid tours. Yet, you can explore the many hiking trails around the castle.